Phone the UK Home Office on their general enquiries contact number 0207 035 4848 for information on applying for a British Visa to visit the country, for further details on applying for immigration and to get in touch with security advisors if you have information about terrorist threats. You should also dial this helpline to find out how recent changes in UK government legislation may affect your security and rights to stay in the country, which is particularly pertinent given the result of the 2016 EU referendum whereby the UK will leave the European Union. Calls to the Home Office are charged at the same local rate which applies to all 01 and 02 UK telephone numbers, you can therefore contact them for free if you have inclusive minutes allocated by your landline or mobile provider. Alternatively you will pay a per-minute rate which is dependent on when you make the call as well as an access charge which is set by your network provider. Contact UK Visas & Immigration (UKVI) by calling their telephone centre number 0300 123 2241 to to apply for a new visa, for immigration requirements and to track your application for British citizenship. Asylum seekers can also phone this helpline to enquire about their rights to stay within the country however you are more likely to be accepted if you apply for residency prior to moving to the UK. We already provide a full contact listings page for UKVI on our website however their telephone numbers have been provided below for your convenience. Phone the Disclosure & Barring Service (DBS) by calling their UK contact number 0300 020 0190 to track an application, to check your current criminal record and to confirm whether you have to disclose any previous convictions when applying to specific jobs. The DBS replaced the Criminal Records Bureau (CRB) and Independent Safeguarding Authority (ISA) so please contact them if you are an employer to confirm whether it is safe to hire someone. You can also phone this helpline if you believe there is an incorrect conviction listed on your record or they have erroneously identified a conviction as not being spent so that they can update their listings. Contact the Home Office on their national telephone number 0300 123 7000 to report an immigration crime, for example if you believe that someone has entered the country illegally you can phone this helpline to anonymously report them to the UK Border Force. You should also call this helpline if you suspect that a business is employing undocumented individuals or is engaging in human trafficking. This is a local-rate helpline so if you would like to report an immigration crime for free you should instead contact Crimestoppers on their freephone number 0800 555 111, however please be aware that it will be quicker to phone the UK Border Force directly. Phone the anti-terrorism helpline for free on the UK freephone contact number 0800 789 321 to report someone who you suspect may be involved in terrorist activity. Therefore if you see someone acting suspiciously or you believe an attack is imminent you should phone this helpline to notify the emergency authorities, however please ensure you are safe before calling the Home Office. If an attack has already taken place you should call this helpline if you have any information which could be used by the UK authorities to track down the perpetrators. Contact the MI5 security service for free on their freephone number 0800 111 4645 to report a threat to national safety, for example you should dial this helpline in response to a terrorist threat or to anonymously report activities relating to espionage. Alternatively if you are interested in joining the security service you can dial their recruitment helpline number 0845 450 2152 to speak to a careers advisor. Phone the Home Office to request CCTV from public cameras on their London contact number 0207 035 4646, you have the right to obtain footage of yourself under the public information act so do not hesitate to ask, particularly if you believe the video is relevant for a crime committed against you. Please be aware this number is only applicable for Home Office cameras, therefore you will need to contact the private owner of other CCTV cameras. The UK Home Office is also available via their postal address, email and through a variety of social media platforms if you would prefer not to call their telephone helplines provided above. 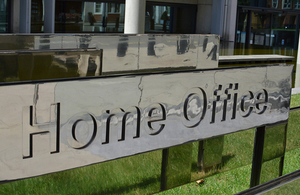 You can direct your general enquiries to the Home Office via their email address public.enquiries@homeoffice.gsi.gov.uk, however please call their emergency telephone numbers in case of emergencies such as terrorism as this method is comparatively slower. 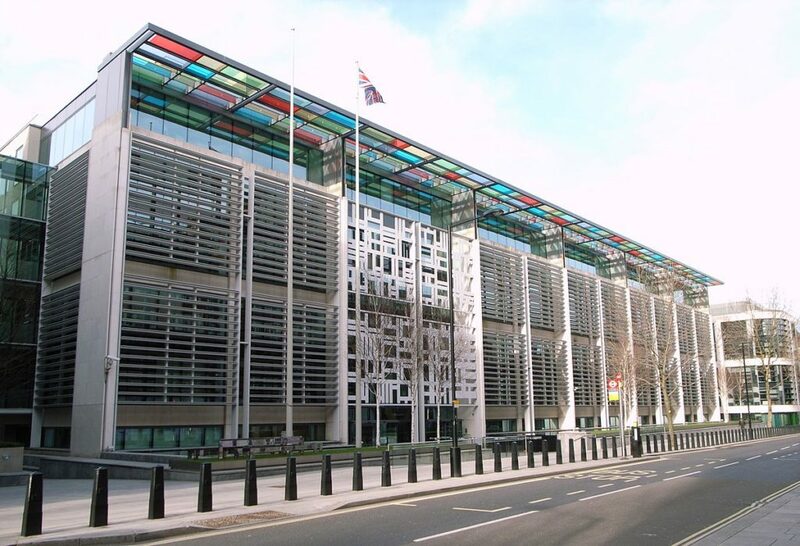 The UK Home Office operates a number of profiles on social media websites to promote their services, for community outreach and to inform the general public on the role they have in the system of government.